Malnutrition stunts the growth and hampers the education of many children in Indonesia, where even seminaries often struggle to feed their wards, but parenting groups are helping to plug the gap in places like Flores Island. At St. Pius XII Minor Seminary in Kisol on the island, Gerakan Orangtua Asuh Seminari (Gotaus) serves as a lifeline to help keep it operating so its young students can remain physically and spiritually nourished. "Without the help of Gotaus it would be very difficult for us to meet the nutritional needs of both our seminarians and educators," said Father Dionysius Osharjo, rector of the seminary. With over 500 students studying and living there, he said it is almost impossible for Ruteng Diocese to cover all of the daily expenses. Gotaus makes the difference by contributing about 216 million rupiah [US$15,000] a year. Father Leo Perik, a Dutch Divine Word missionary, established the high school seminary over 60 years ago. Ruteng Diocese took over its management in 1985. Father Andreas Setyo Budi Sambodo, the rector of St. Laurent's Minor Seminary in Payakumang, run by Ketapang Diocese in West Kalimantan, echoed similar concerns. The priest belongs to Semarang Archdiocese in Central Java, but Archbishop Robertus Rubiyatmoko commissioned him to oversee the seminary at the request of Bishop Pius Riana Prapdi of Ketapang. 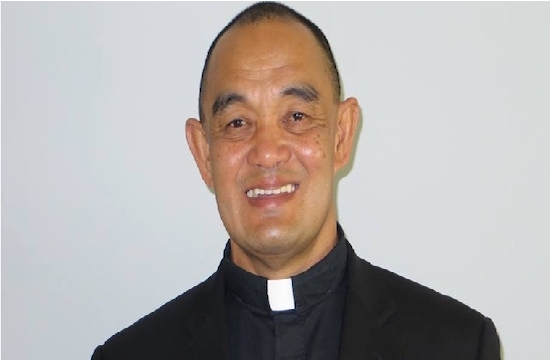 Father Sambodo said the parenting group and local Catholics help to keep the seminary open amid a funding shortfall. He said he agreed to assume the post of rector because he knew there were enough "Good Samaritans" willing to pitch in and help out. Jesuit Father Gandhi Hartono, the former rector of Indonesia's oldest seminary, St. Peter Canisius' Minor Seminary in Mertoyudan of Central Java, said Gotaus' input also boosts the morale of its young seminarians. The seminary was set up in 1912. Father Hartono also serves as the executive secretary of the Education Commission within the Indonesian Bishops Conference. Father Adam Suncoko from Marianum's Minor Seminary in Probolinggo, which falls under the auspices of Malang Diocese in East Java, also credits Gotaus with keeping the wolves of debt at bay. He said the seminary manages to stay afloat from its beneficence as well as due to generous donations from local parishioners, Catholic groups, and non-Christian communities. There are now 43 seminarians studying there. Indonesia has 47 minor and 14 major seminaries. Father Joseph Kristanto Suratman, executive secretary of the Seminary Commission at the Indonesian Bishops Conference, said Gotaus provides them with 4 billion rupiah a year, mostly from its crowdfunding programs. The former rector of St. Paul's Major Seminary in Kentungan, Yogyakarta, said the group's aid packages mostly benefit minor seminaries outside Java. Gotaus' latest fundraising program took place in Bandung Diocese of West Java in November, raising 1.5 billion rupiah during a single weekend Mass that was attended by 38 bishops during their annual meeting. Gotaus also receives donations from individuals including its chairman, Arnold Darmanto. He began lending his support in 2007. "It happened accidentally when a friend of mine invited me to attend one of the group's annual retreats," he said. "I take much joy in dedicating myself for the benefit of our seminarians." He cited Article 5 of the Optatam Optius, a Vatican Council document which states that a seminary is at the heart of each Catholic diocese. Gotaus was formed in 2001 when a group of former Catholic officials at the country's central bank launched a charity initiative focusing on efforts to provide high-quality nutrition for minor seminaries. 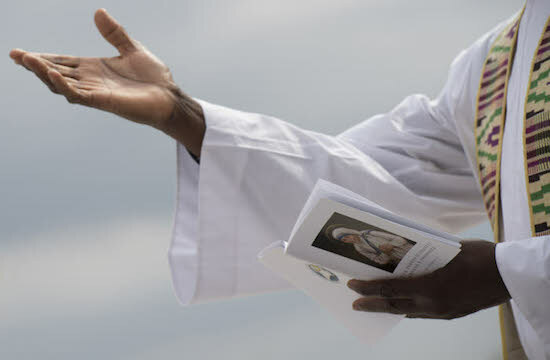 The bank's former deputy governor, Paul Soetopo Tjokronegoro, said Gotaus is different from other Catholic groups, which focus mostly on building church-related infrastructure.